It was a decision that could’ve gone either way, but Gilberto “Zurdo” Ramirez sneaked away from his rematch against Jesse Hart with a decision win to retain the WBO Super Middleweight Title. Hart came out swinging in the opening round but eventually slowed down, while Ramirez showed skilled counterpunching and was more precise in his punching. Zurdo continued to work better in the next few rounds, being the more aggressive fighter. Ramirez worked over Hart’s body through the fourth round, forcing Hart’s back to the ropes. While Hart fought back, he was struggling. But the challenger came back to produce a more even fifth and sixth round. Hart adjusted his game in the second half of the fight, trying to keep Ramirez out of his distance and work on the inside. In the eighth, while he didn’t land as much as Zurdo did, Hart managed to turn the tables on the champion by backing him up to the ropes. Zurdo dominated the ninth, but by the 10th it was noticeable that he was dealing with an injury to his left arm. The challenger took this to his advantage, picking steam back up in the 10th before dominating the 11th. Ramirez, however, stunned Hart in the final round and made him eat unanswered blow after blow. Hart threw a late flurry but it may not have been enough. 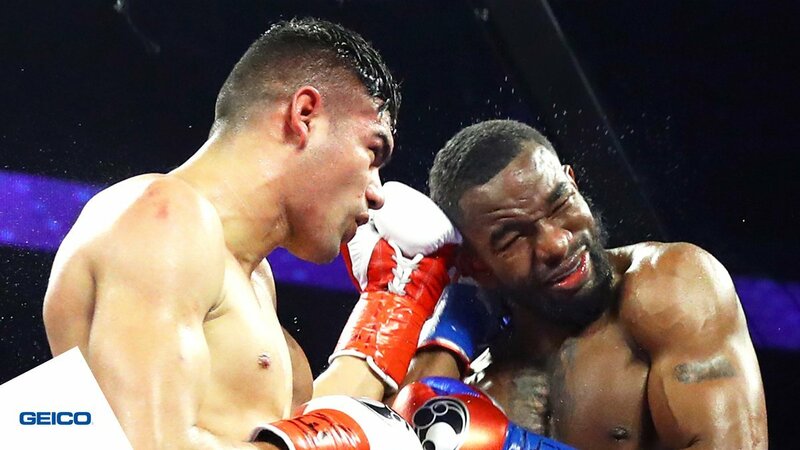 While one judge ruled the bout a 114-114 draw, the other two scored the fight 115-113 in Ramirez’s favor, giving him the majority decision to keep the belt.